In North America it is pretty apparent that we are different from Japan on many counts, especially in preferences for anime. However one enduring commonality is the eternal popularity of Akira Toriyama’s Dragon Ball. With Dragon Ball Super fast approaching its third year on the air and its likeliest biggest and most explosive arc with the Tournament of Power, now is the perfect time to see why this series and anime in particular seems to be so popular. For those of us in North America who grew up with Dragon Ball Z the original Dragon Ball is sort of the forgotten chapters for many. Despite being just as high quality as the later work, many fans discount the contributions it made to the series canon. This is not the case with Dragon Ball Super, as the latest chapter actively embraces the spirit of Dragon Ball. Dragon Ball was first and foremost about adventure and wonder, where one would see new and exciting things. Fighting for much of the series was secondary, as such when it did come it was a treat to behold. The fights as well were not decided by galaxy shattering Ki Blasts, as a fight could often be decided by quick thinking as well as brute strength. Building off the original point, it is generally accepted by most fans that Dragon Ball was on life support following the conclusion of the Emperor Pilaf Saga, who’s antagonists are strangely enough comic relief protagonists... To spice things up Akira Toriyama brought about the Tenkaichi Budōkai Tournament “The Greatest Tournament Under the Sun” and from there the rest is history. Tournaments have been so popular in shōnen manga they’re one of the most common tropes, liberally used by such classic and near classic series such as Yu Yu Hakusho (twice), Hunter x Hunter (amazingly subverted too), Naruto, One Piece, Fairy Tail, My Hero Academia, and many many more. Dragon Ball Super is the first series since the original Dragon Ball to fully commit to this format as the Cell Games and 31st Tournament are not true tournaments. Not only this but the Tournament between Universe 6 and Universe 7 are widely regarded by fans as the moment Dragon Ball Super became worth watching. With the upcoming Tournament of Power free for all, its looking like Dragon Ball Super is keeping this in mind. Ah fanservice such a tricky and misunderstood word, indeed a word of many meanings. Yes Dragon Ball Super is littered with it, I would actually make the argument that Dragon Ball Super is the most fanservice packed show on TV right now. It knows what the fans want and it is happy to give it to them. Toei seems to be fully aware of fan expectations and bends over backwards at times to take it into account. For years now since Battle of Gods and especially Resurrection F the fans felt that Gohan was being mistreated by the series, how could this amazingly powerful character could sink so low we all thought? 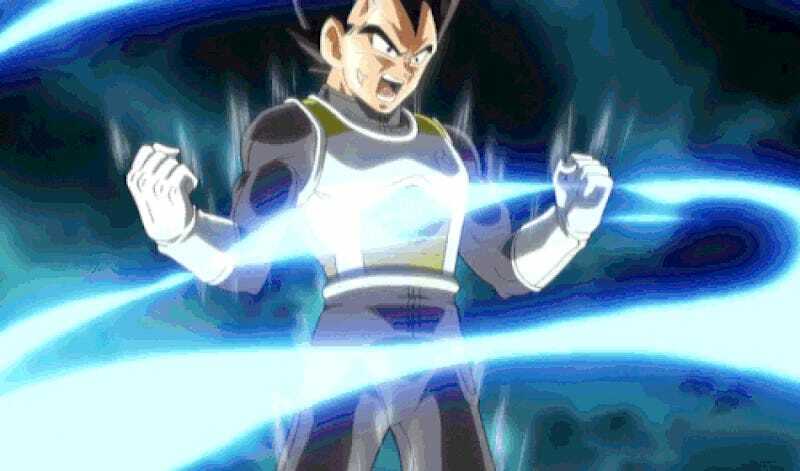 Well Toei listened and not only did it bring back the crazy popular Full Power Gohan form AKA “Mystic Gohan”, he’s inexplicably as powerful as a Super Saiyan Blue now and Super is even hinting at more power coming. What about Yamcha? The fans love to make fun of him, well trust me Toei is aware of that. If you skipped out on the Dragon Ball Super “Baseball Episode”stop reading and go and watch it right now, its as good as the famous Goku and Piccolo learn to drive episode. The series might even made a reference to Team Four Star, Mr. Popo is a little bit cross with Vegeta and Popo seems angry - you can see it in his eyes. Female Super Saiyans? You betch’ya, Toei will even throw in a new Brolly just for the lulz! You know how fanservice is a word with many meanings? Well Dragon Ball Super has the other kind too and oh boy is it becoming hard to ignore. While Dragon Ball was no stranger to a little bit of ecch as most series of the time were it was dialed down quite a bit by the time of Z. Super thankfully is not going into full on “I Can’t Believe my Super Powered Tournament Fighters are so Cute” route but there has been a decided shift in that direction and the fandom has noticed. This is most clearly seen in the designs of several attendant Angels (Whis race, yup they’re literally angels from God). Some of the obvious turns to the Moe side for Dragon Ball are Vados, Marcarita, and Cus each lining up pretty clearly with a harem archetype in other genres. 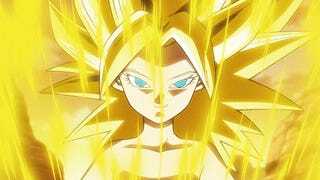 That said the Angels pale in comparison to the introduction of the female Super Saiyans with Kale and Caulifla being instantly popular since their introduction a few weeks ago. It was almost as if Toei went on TV Tropes to design them. In the age of the internet there are two guaranteed ways to get attention especially within a fandom: pander and insult. We’ve talked about how Toei serves liberally what the fans want, however they are certainly not above tweaking our noses at the same time. 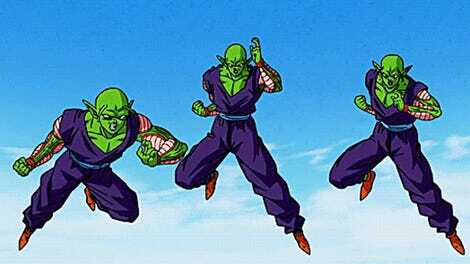 A perfect example being the introduction of the new generation of Super Saiyans and how easily they achieved the form. Not surprisingly there was OUTRAGE at how easily the form came to these new chracters but Toei wasn’t done. Oh no they weren’t, to add insult to injury Caulifla actually was able to go Super Saiyan 2 in Episode 93. What took years of training, heartache, and loss for Vegeta, Goku, and Gohan took her literal minutes. Then there was poor poor Vegeto... Super Vegeto was easily the most powerful being to ever exist in the manga his power overwhelming. 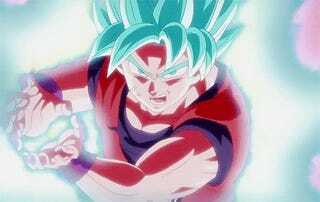 So you’d think Super Saiyan Blue Vegeto would be amazing and as Toei teased his return during the Goku Black Arc the fandom was electric. To say his appearance was underwhelming would be an understatement after he failed it took a literal deus ex machina (and yes I am using literal correctly here) to close out the arc. What do all these have in common? Despite some fans being pissed, they were vocal and made sure everyone knew about it. Which simultaneously made everyone talk about Dragon Ball Super too. Clever girl. As the above entries likely show quite clearly I subscribe to the theory Toei knows exactly what it is doing as it handles Dragon Ball Super. The amount of self-awareness Toei has shown with this property is quite staggering considering until recently Toei was not exactly known as a studio to be responsive to fans. 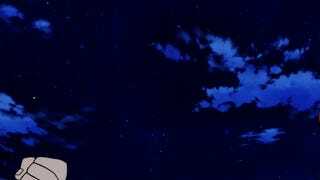 However changes to Sailor Moon Crystal Season 2 might show a broader change in direction beyond just Dragon Ball. At the moment though Dragon Ball Super remains the clearest example of this new strategy and it is working. The self-referential jokes, the excessive “Next Time On...” trolling, and the general improvement in animation quality shows Dragon Ball Super is made for fans of Dragon Ball and people respond well to that. By no means is Dragon Ball Super easy to approach as a newcomer but as fans of the series it is one too look forward to every week, just like as a kid. Of everything written above, there is nothing more important to Supers success then this simple fact: the series always puts the entertainment of its viewers above everything else. What do I mean by this? While other shows would be preoccupied with things like continuity and always making sense, Super does not do this. Now that sounds like an insult but it is not, it is the highest compliment I can give as Dragon Ball Super knows exactly what it is. An action-comedy about literally godly level fighters beating the ever loving crap out of each other. Well here we are the end of this post that got way bigger then I was expecting. Hope you liked my slightly tongue in cheek write up on what makes Dragon Ball Super so popular and how its captured the legacy of Dragon Ball in a way GT never did. I’m sure many of you will have thoughts so please leave them in the comments any topic is open, I particularly like Power level discussions - I’ll even start out Krillin is stronger then Tien! I only ask you keep it civil.